Limited Availability, only 18 bottles in this offering. 2007 was a wonderful vintage. This wine is well aged and showing mature flavors. 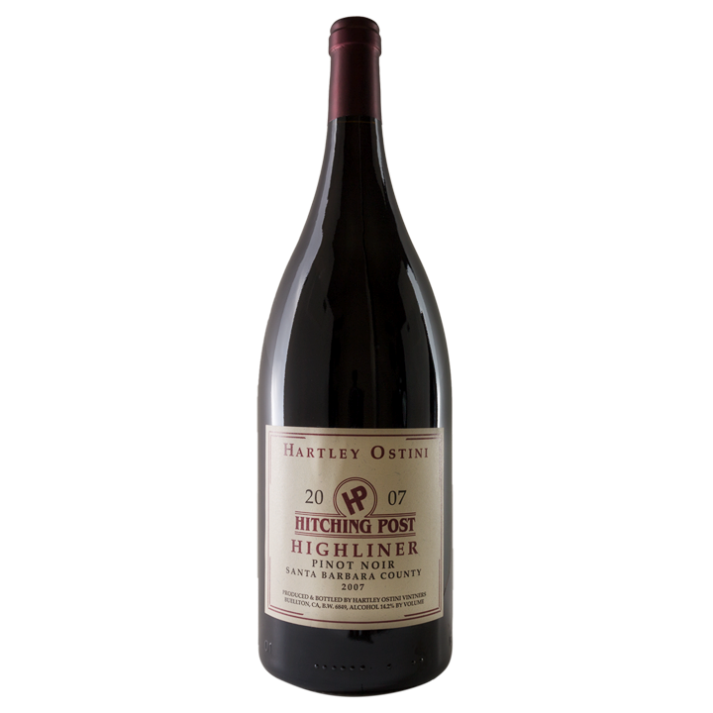 "HIGHLINER" is a barrel selection (70% new French oak) of maritime-cooled vineyards in Santa Barbara County, combining the forward fruit and richness of the Santa Maria Valley, with the earthiness and structure of fruit from the Sta. Rita Hills. The blend of vineyards can change with each vintage depending on which ones produce the best of the best for that particular growing season.